Spring means baseball season and, this year, the San Diego Padres are pulling out all the stops with a roster of powerhouse prospects that includes freshly-signed MLB superstar, Manny Machado. The San Diego Padres home opener at Petco Park is on March 28 when they take on the San Francisco Giants. Check out the full schedule of games here; single tickets (depending on the day), could start around $15. According to NBC 7 SportsWrap, for the first time since the Padres went to the World Series in 1998, they are a big deal, so you'll want to keep your eye on them this season. NBC 7's Derek Togerson and Darnay Tripp will be talking about the team all season long on their new weekly podcast, "On Friar," so you'll always be in the loop. Play ball! Nothing says spring quite like a visit to The Flower Fields at Carlsbad Ranch on Paseo Del Norte in San Diego’s North County. Open now through Mother's Day (May 12), guests can enjoy the blooms daily from 9 a.m. to 6 p.m. Admission is $18 for adults, $16 for seniors and $9 for kids ages 3 to 10; children under 2 get in free. Besides a walk along the fields and endless photo opportunities, visitors can enjoy snacks from vendors and shopping at the on-site store and nursery. The Flower Fields also hosts a bunch of events each spring, including a "Kids Day," crafting workshops, live music and a Mother’s Day celebration. By the way, this winter's consistent rain has fared well for the fields. Read all about that here. The Flower Fields at Carlsbad Ranch open for the spring season on March 1, 2019. 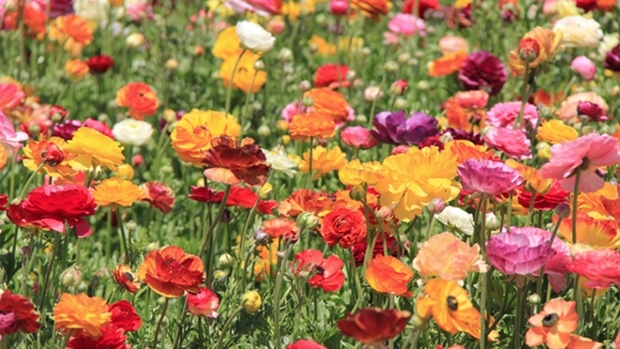 The beautiful blooms span 50 acres at 5704 Paseo Del Norte, about a half-mile from the ocean. This year, the landmark is open through May 12, 2019. Sure, it’s open year-round, but Balboa Park’s Botanical Building in the spring is truly a spectacular sight. At over 100 years old, the historic building is one of the largest lath structures in the world, not to mention one of the most photographed spots in San Diego's Balboa Park. There are more than 2,100 permanent plants inside including cynads, ferns, orchids, palms and other tropical plants. The iconic Lily Pond is also right in front of the building, which makes this the perfect springtime stop. The Botanical Building is located on El Prado walkway, adjacent to the Timken Museum of Art. It is free to enter, open Friday through Wednesday, from 10 a.m. to 4 p.m. (closed Thursdays and holidays). Insider Tip: on the third Friday of each month, at 11 a.m., the San Diego Floral Association gives a free, 45-minute tour of the Botanical Building0. The docent-led tours leave from the south end of the Lily Pond and are open to the public. The tours showcase the origins, design and horticulture of the historic building. Take advantage of our typically-gorgeous springtime weather and visit the iconic boardwalk at Mission Beach. A few years ago, a portion of the boardwalk's seawall -- between San Fernando Place and Ventura Place, near Belmont Park -- was reconstructed to restore the seawall back to how it looked when it was first built in the 1920s. The spot is a popular place to take a stroll in the spring and summer -- or on any day when the temps are practically perfect. You'll often see locals and tourists walking, jogging and bicycling along the boardwalk. The exercise is great, but the ocean views are even better. Get in touch with nature by having yourself a good old-fashioned picnic at one of our many local lakes. East County spots include Santee Lakes, Lake Murray and Lake Jennings. There’s also Dixon Lake in Escondido, Lake Miramar, Lake Morena and Chollas Lake, to name a few more. With much of our city boasting waterfront views, a nice spring morning or afternoon playing at a local park – with a view – could be enjoyable for both the kids and mom or dad. A couple of scenic sites that come to mind include Waterfront Park on Pacific Highway, with views of the Embarcadero, or Fanuel Street Park in Pacific Beach, where the sandy playground is just steps from the water. There’s also Sunset Park, adjacent to Coronado Beach on Coronado Island, La Jolla Shores Park and Kellogg Park – both in La Jolla – and Bonita Cove on West Mission Bay Drive. 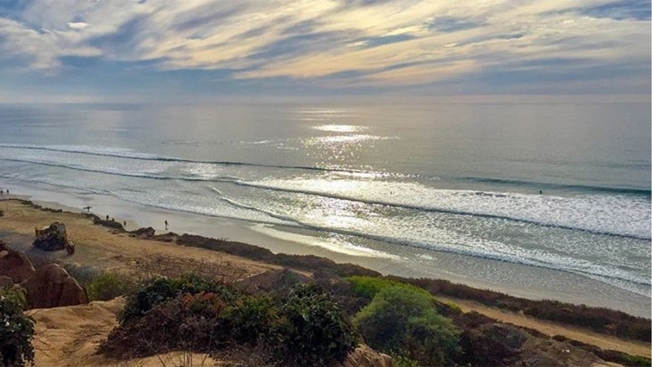 In San Diego’s North County, try Fletcher Cove Beach Park in Solana Beach, Powerhouse Park & Beach in Del Mar, Buccaneer Beach Park in Oceanside. Oh, and you can’t miss Bayside Park on Bayside Parkway in Chula Vista. Traditionally a winter activity, whale watching in San Diego has now become a year-round activity. 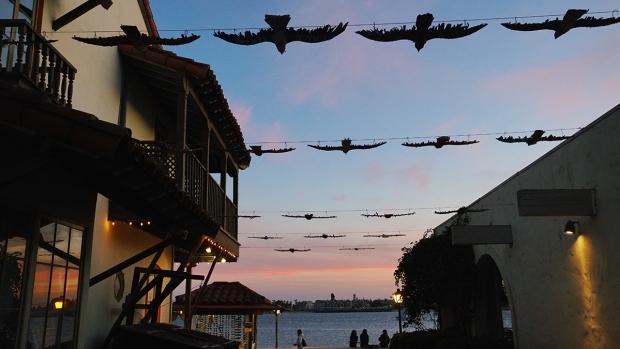 In years past, Joe Terzi, president and CEO of the San Diego Tourism Authority, has said that San Diego should be considered the world's No. 1 destination for whale watching. Around this time in 2015, Flagship Cruises said gray whale sightings were on the rise in San Diego, with more than 200 spotted off our shores over the first few months of the year. Whale watching tours can be found all along the Embarcadero, including via Flagship Cruises & Events here. Put on some comfy gear, fill up your daypack with essentials, and connect with nature on a relaxing springtime hike on one of San Diego’s many trails. 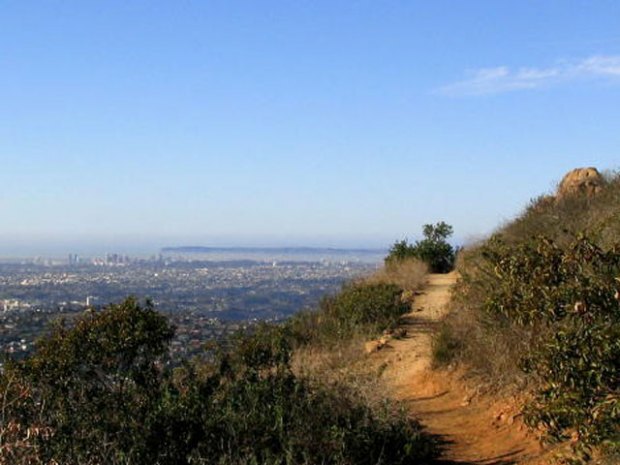 Try Cowles Mountain in the East County or Iron Mountain Trail off Poway Road and SR-67, or head to the seaside trails at Torrey Pines State Reserve or Sunset Cliffs. The San Diego Hiker’s Association has a wealth of free information about how to access local trails and what to expect on your chosen adventure. Also, if you're hiking with the kids in tow, try one of these family-friendly trails. San Diego is home to so many scenic, sweeping ocean views. They can, of course, be enjoyed year-round, but there's something special about taking in the sights on a perfect spring day. Here's a round-up of eight must-see ocean views in America's Finest City, including breathtaking spots like downtown's Embarcadero, Pacific Beach (try strolling along Crystal Pier), and La Jolla's famous Windansea Beach (look for the cute little historic surf shack). What kind of springtime activities do you enjoy as a San Diego resident or visitor? Share in the comments section below. Also, share your photos of beautiful springtime in San Diego on Instagram using the hashtag #SanDiegoGram.